Rebel and I spent some quality sister time in Berlin this weekend. 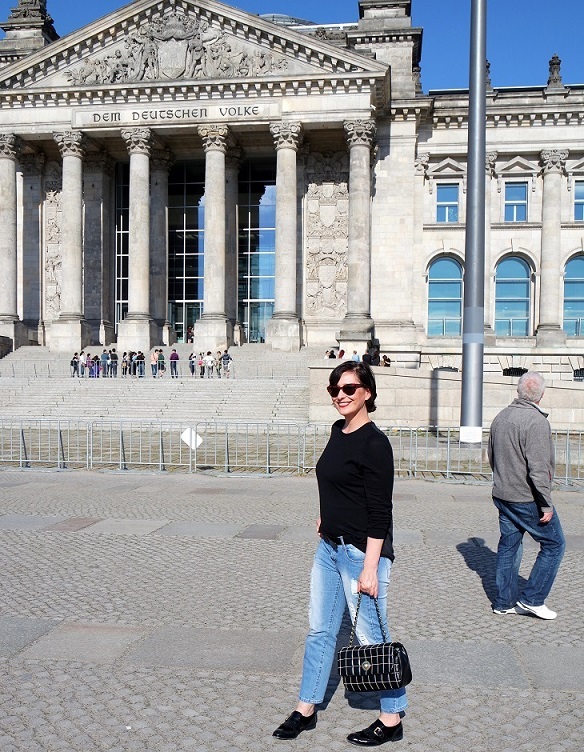 Our home city spoilt us with glorious sunshine, so we did what most Berliner’s do on a sunny weekend: Lunching with our dad at one of the countless outdoor restaurants in Mitte, followed by a stroll on the boulevard “Unter den Linden” which leads to Berlin’s most iconic landmark, the Brandenburg Gate. From there, it’s just a stone throw to the Reichstag, the building which houses the German parliament. 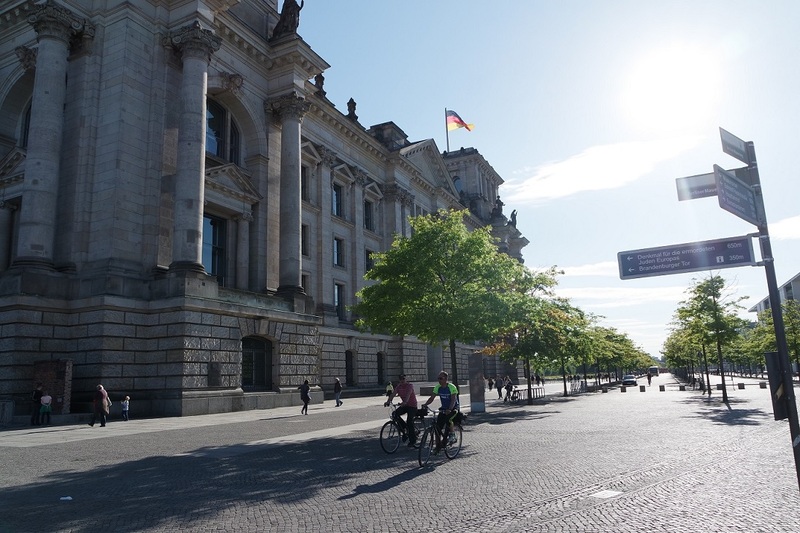 It was heavily damaged after WWII and reconstructed in 1990 when it become the home of the Bundestag again. Architect Norman Foster erected the famous glass dome which provides breath taking views over the city. As usual, we had so much fun together and our time together has come to an end already. 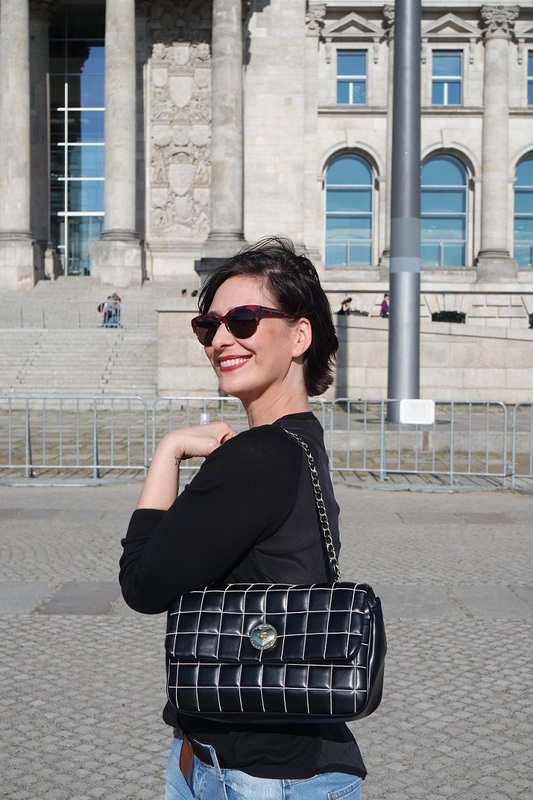 Tune back for more pictures in Berlin on the blog very soon! 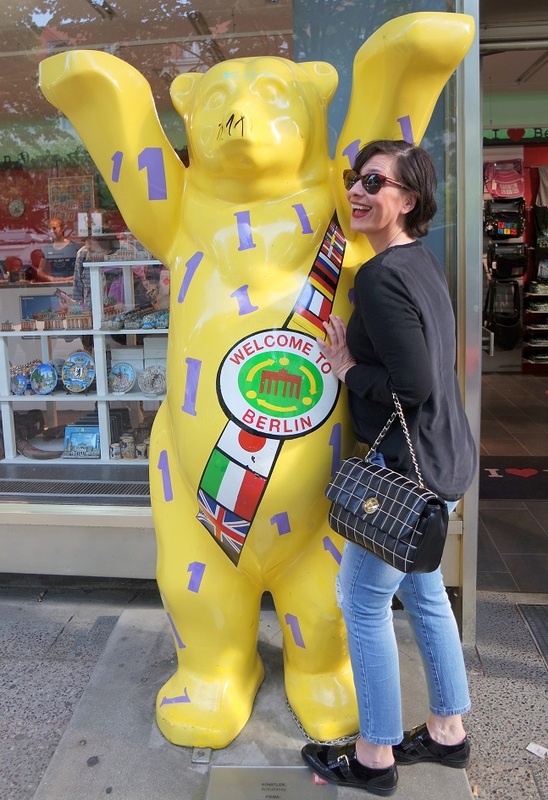 The symbol of Berlin, the Berlin buddy bear! Life-size painted sculptures are scattered throughout the city to capture the hearts of Berliners and their guests. 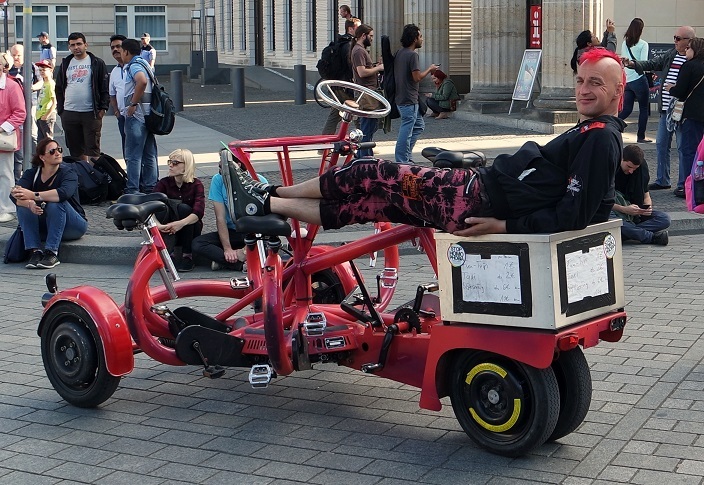 This guy epitomises the spirit of Berlin: Independant and cool as hell! For a city stroll, being comfy is most important. This does not mean you have to compromise on style. 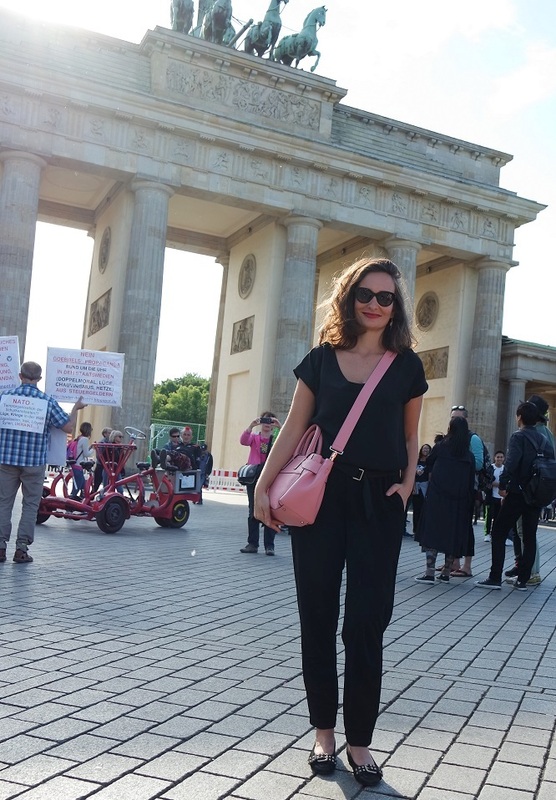 Romantique is wearing a jersey jump suit by Max & Co. Add some colour with the pink handbag by Coccinelle, sunglasses by Fendi and flat ballet pumps with studs. Rebel is wearing blue jeans by TK Max, sunglasses by Stella McCartney and quilted leather handbag by Love Moschino. 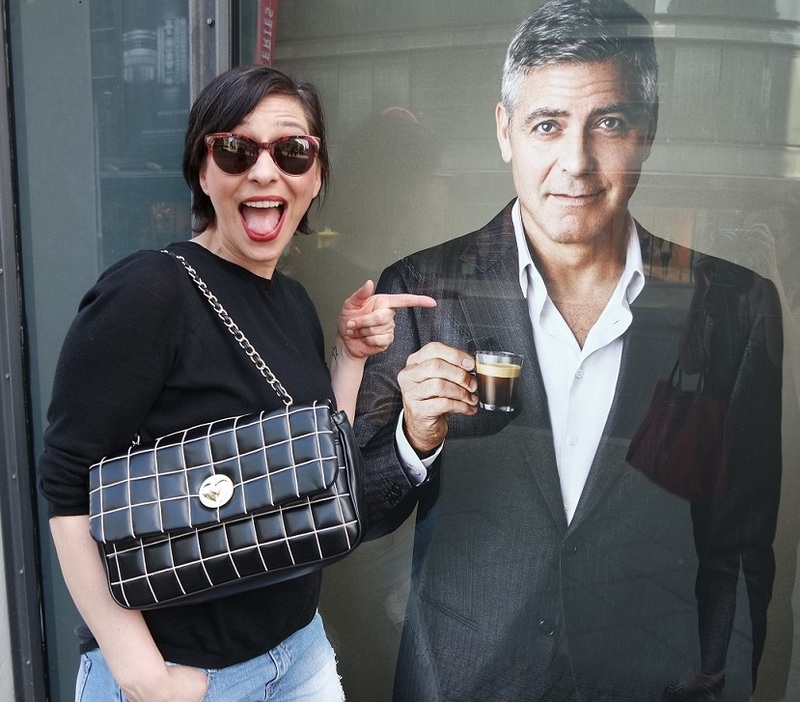 Hi George, fancy seeing you here in Berlin! How cute is this casual yet stylish outfit by Charlotte Casiraghi? Bang on trend Vichy (Gingham) checked jumpsuit with frilly detail. I love the combination with the oversized straw bag and flat sandals. Parfait! I can never get enough of Vichy checked clothes (see my previous post on this trend) and the below gem is irresistible. Combine the jumpsuit with tights and carry this trend over into autumn.